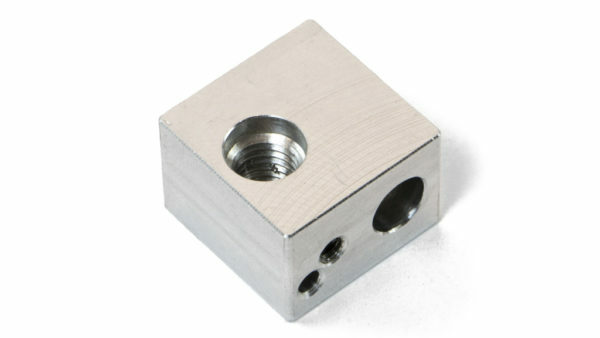 This is a MK10 Heater Block for the Monoprice Maker Select v2. MK10 thread allows for the seating of the existing MSv2 thermal barrier tube and all other elements of the hot end. This Maker Select hot block is machined in the USA from solid aluminum. This part is also compatible with the Maker Select Plus.